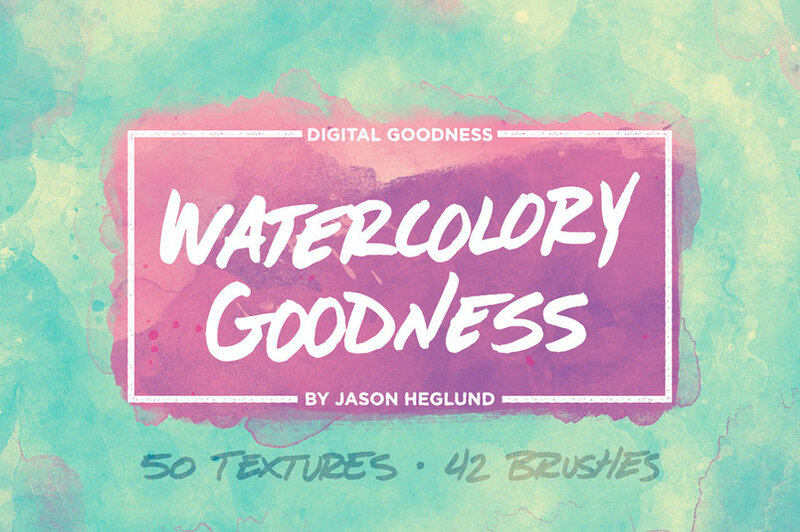 The Watercolory Goodness Bundle: chocked full of all kinds of watercolor goodness. 50 unique watercolor texture backgrounds plus a nice little pack of 42 watercolor stamp brushes, perfect to add your own watercolor texture qualities to whatever creative project you have going. 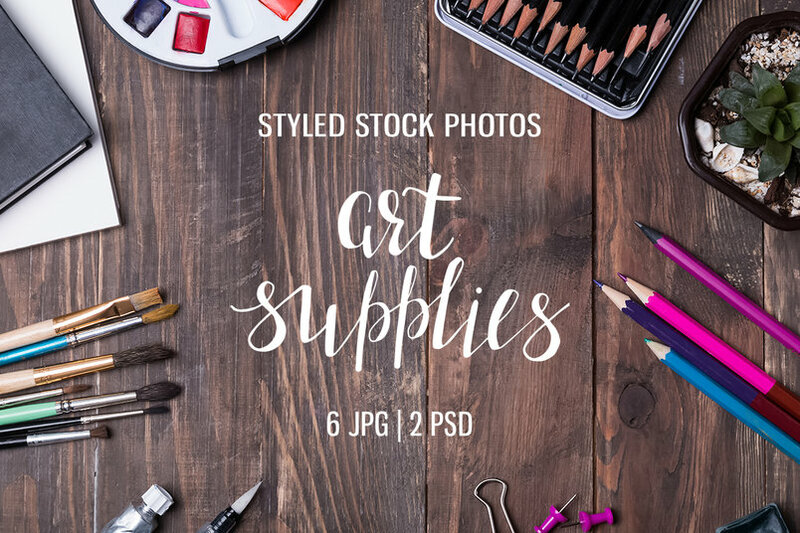 These textures are great to use for websites, branding, invitations, adding to your own art, making your own art for your home plus tons more. I am glad to introduce you a collection of Poppy flowers. 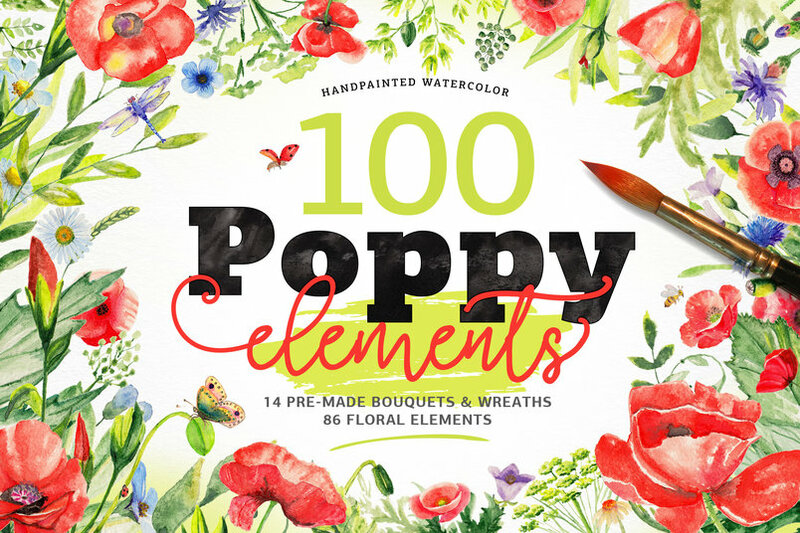 100% hand-painted watercolor elements. It consists of total 100 high quality PNG’s with transparency. Fill free to create your wonderful compositions. 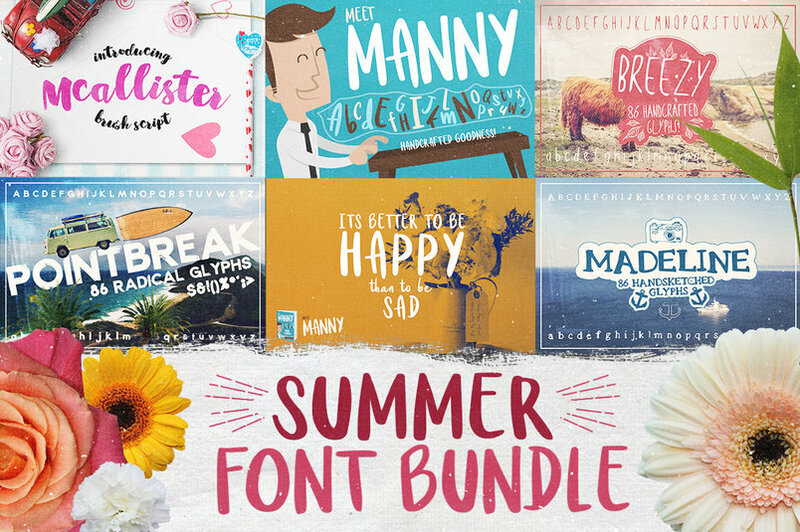 In this magnificent bundle you will get access to every single one of our fonts, including our two latest ones “Mcallister” and “Meet Manny”. The typical price would normally be $44 but we are giving you a whopping 54% OFF for a price of $20. You may use this background images to display your artwork, prints or photos in your online shop, on your blog or on your website. 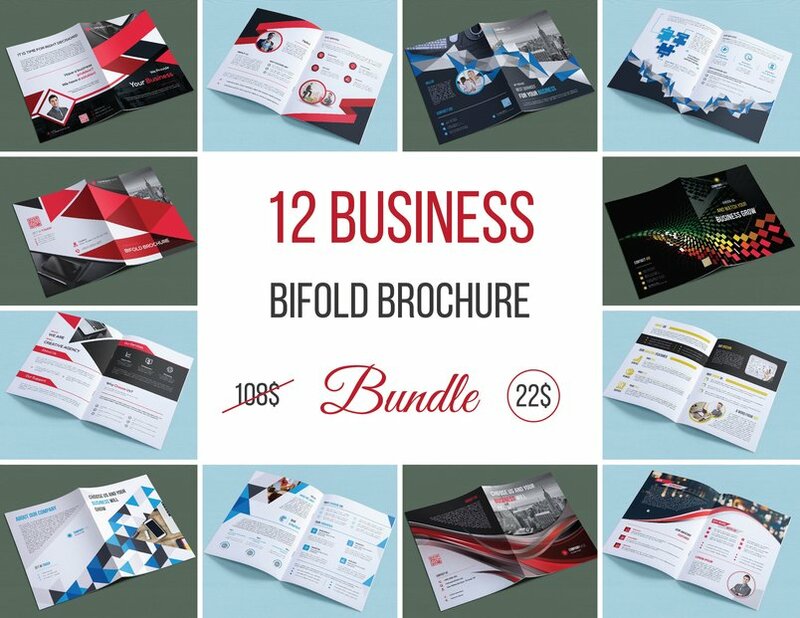 This is a collection of modern corporate/business bifold brochures which you can use in your own products and save money and time! 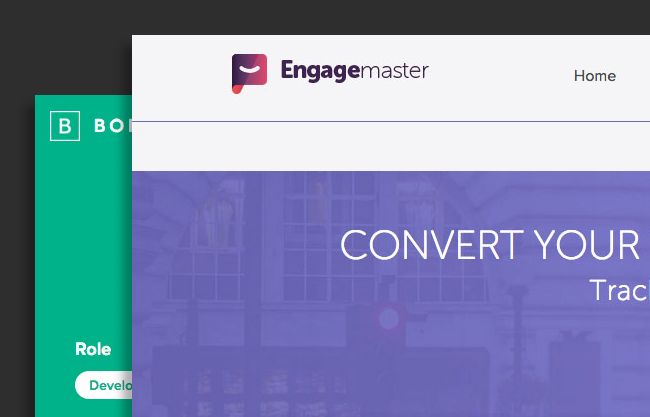 Brochures are fully and easily editable, you can change text, colors, backgrounds, place images etc. Every brochure has several color variations. 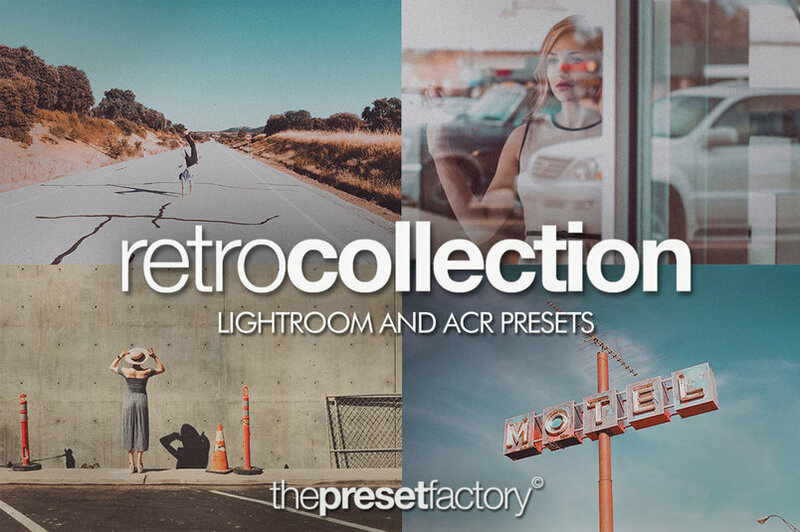 The Preset Factory© is proud to present the *Retro Collection, a set of thirty presets for Adobe Lightroom versions 4, 5, 6 & CC & Adobe Camera Raw 7.0+. Inspired by the look of 70’s movies, we drew our influence from celluloid film of this era to bring a truly unique look to modern photography. Characterized by subtle matting, creamy highlights and faded tones, the Retro Collection gives a beautifully vintage feel to your images seen in films such as The Wicker Man (1973). We also explore a nostalgic blue/turquoise aesthetic which gives a powerful retrograde feel to your images. These looks, coupled with the flexibility to choose variations of the base presets, and the ability to choose a custom grain for each image, the Retro Collection offers one of our most advanced workflows yet. Ideal for fashion, lifestyle, model and travel photography. 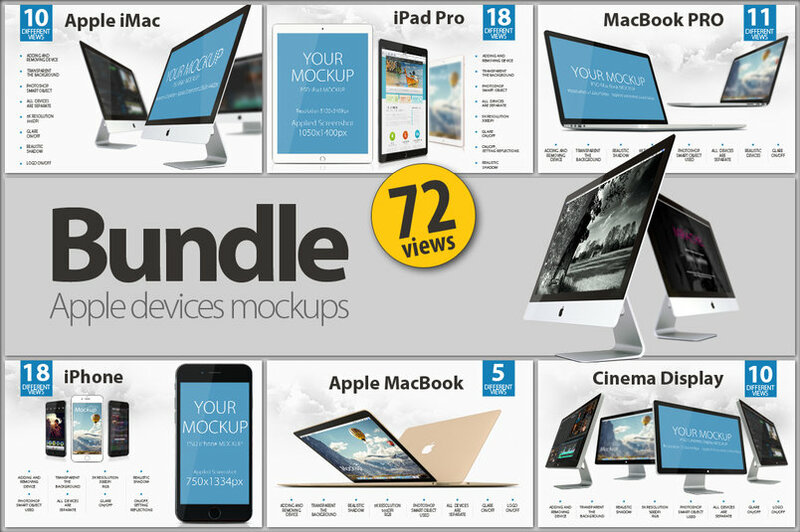 **This is a realistic iMac, MacBook, MacBook PRO, iPhone 6, Cinema Display, iPad PRO Mock-ups! 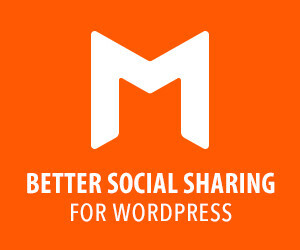 You could use it for header, mockups good to use for design applications or web pages, presentations, gallery presentations and more. Created for web designers, to preview their designs and websites in a professional and photo realistic way. Just insert your design in a smart object – image will fit in the screen. 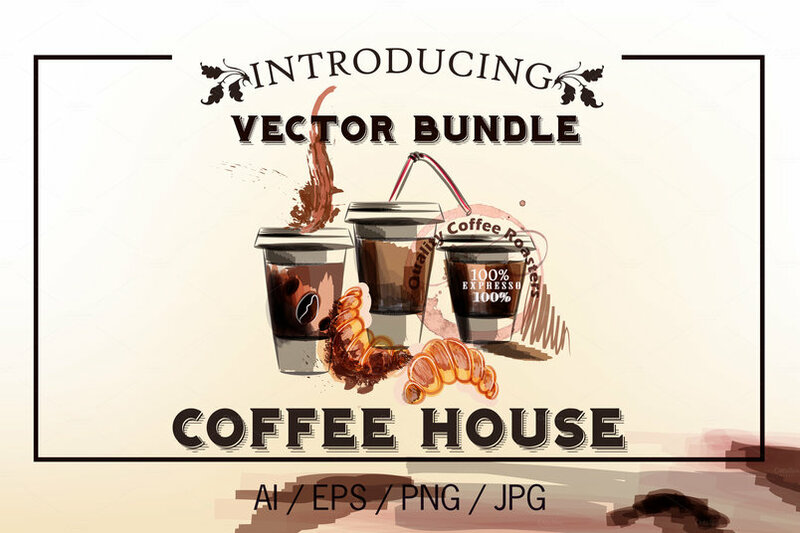 Awesome vector collection from coffee elements and backgrounds. This designs really will help you to decorate any your project, make it fresh and with unique look. Café, coffee shops, coffee house or restaurant all this need creative unique identity style which helps to select it from thousands of others. This bundle can help in it! Carefully created collection from coffee elements will be useful in your projects.Coffee is always will be actual and fresh theme. 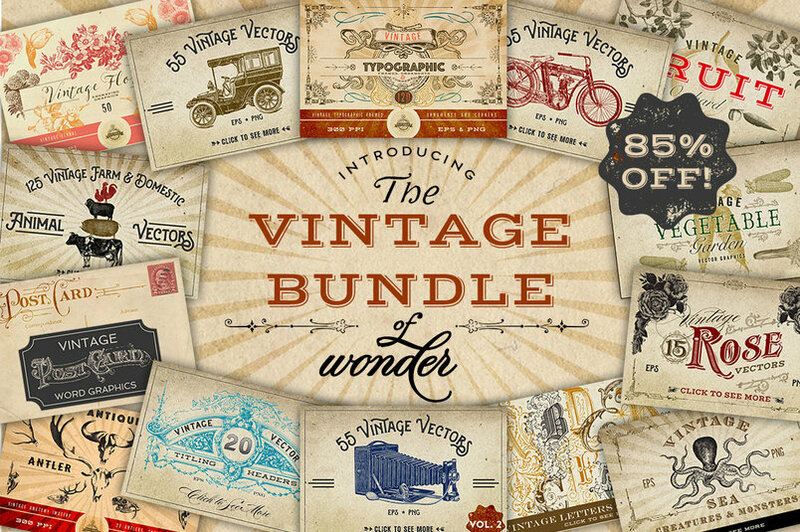 Welcome to The Vintage Bundle of Wonder! 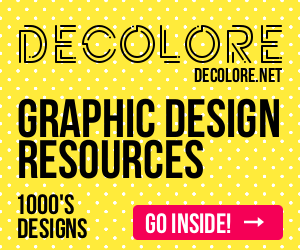 For a limited time, I’ve bundled together some of my most popular vintage and antique graphics. You’ll get a lot more bang for your buck with this bundle, saving 85%! Some of them are available in vector (.eps) format, and others are only pngs on transparent backgrounds. All the files are black, but you can colorize them to your heart’s content in your graphics editor. 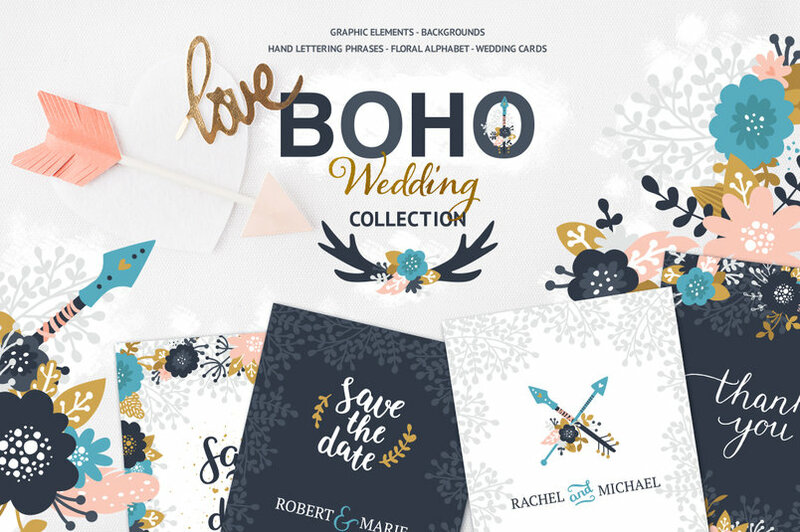 You will find all sorts of vintage design elements in this bundle including (but not limited to) farm animals, transportation, antlers, initials & letters, cameras, fruit, vegetables, frames, typographic ornaments, flowers & roses, postcard words, corsets, hats and more! 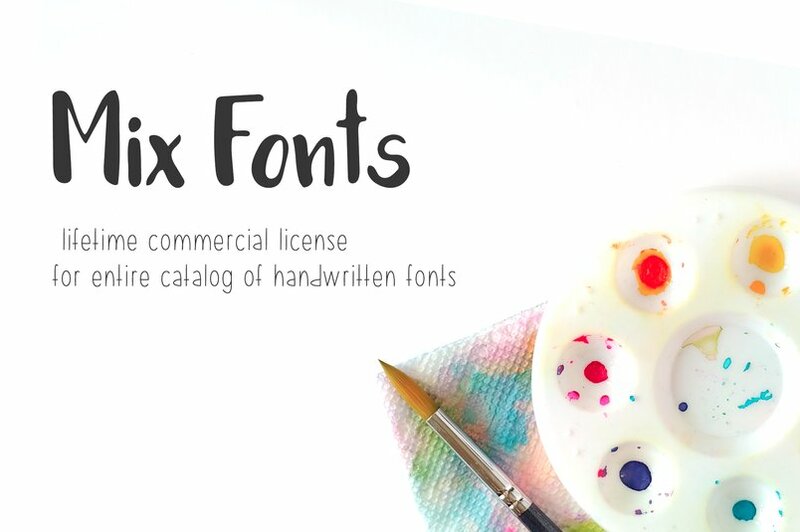 This is licensing for the entire handwritten and handdrawn Mix Fonts collection. The download will be updated as fonts get added to the catalog. 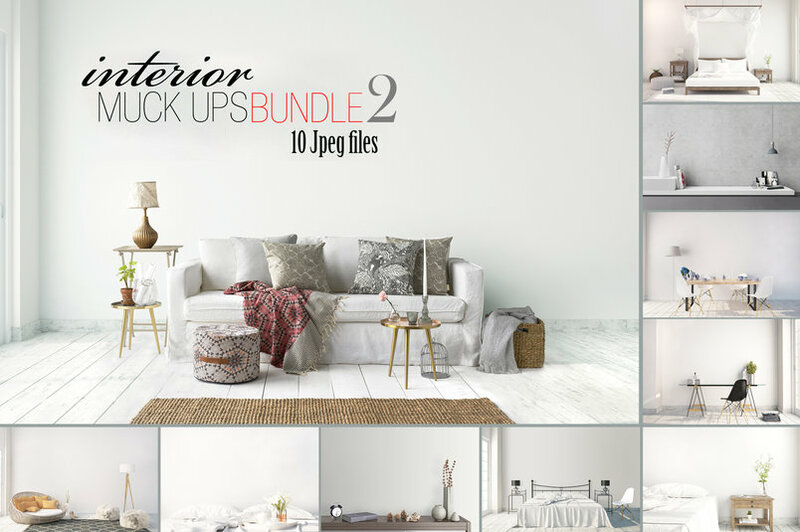 1000 Icons Bundle – Saving Pack! 11 icons packs (~1000 icons in total) with the lowest price!! all are vector format and scalable as they are 100% vector, with multiple varieties to fit your every project, Use in website, mobile app, web application, or wireframe creation. 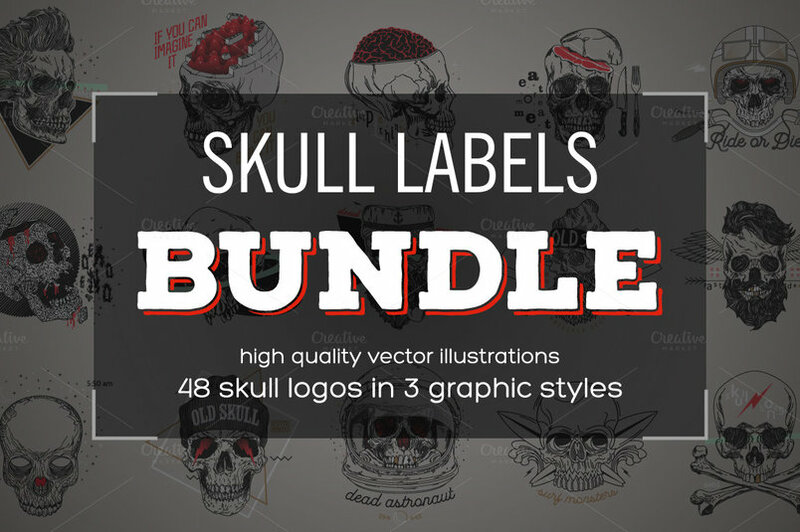 Skull Labels BUNDLE. Thin line skull labels. High quality vector illustrations. Retro vector design graphic element, badge, emblem, logo, insignia, sign, identity, logotype, poster. Stroke hipster illustrations with typographic for t-shirt prints. 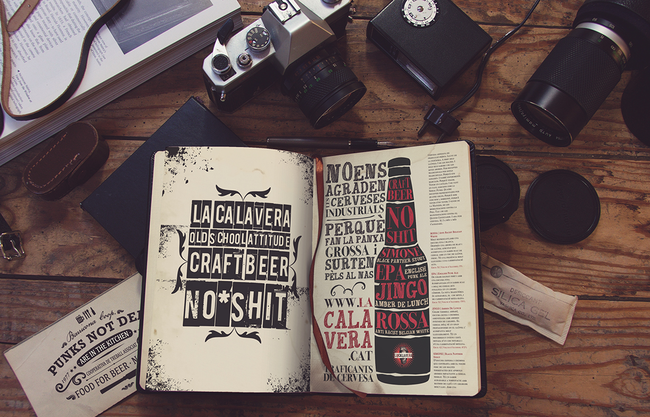 48 skull logos in 3 graphic styles! 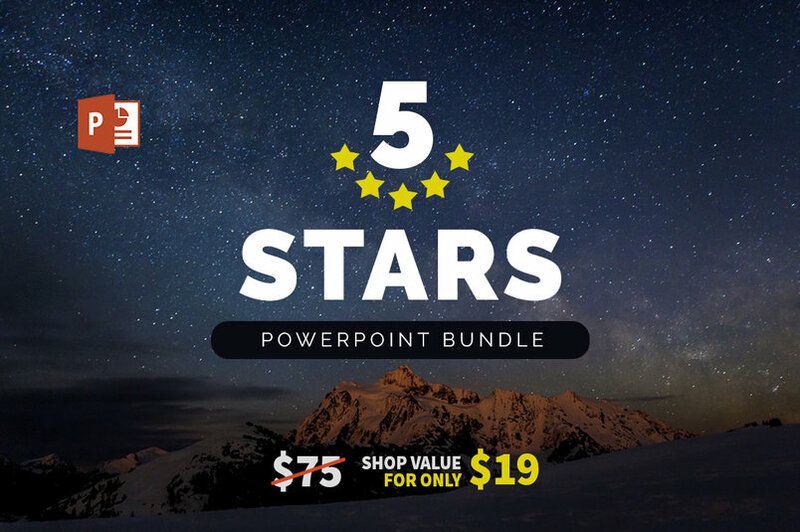 Introducing the Five Stars Powerpoint Bundle, 5 handmade presentations with a unique and amazing design impress, attracts, capture and close business with this super deal. 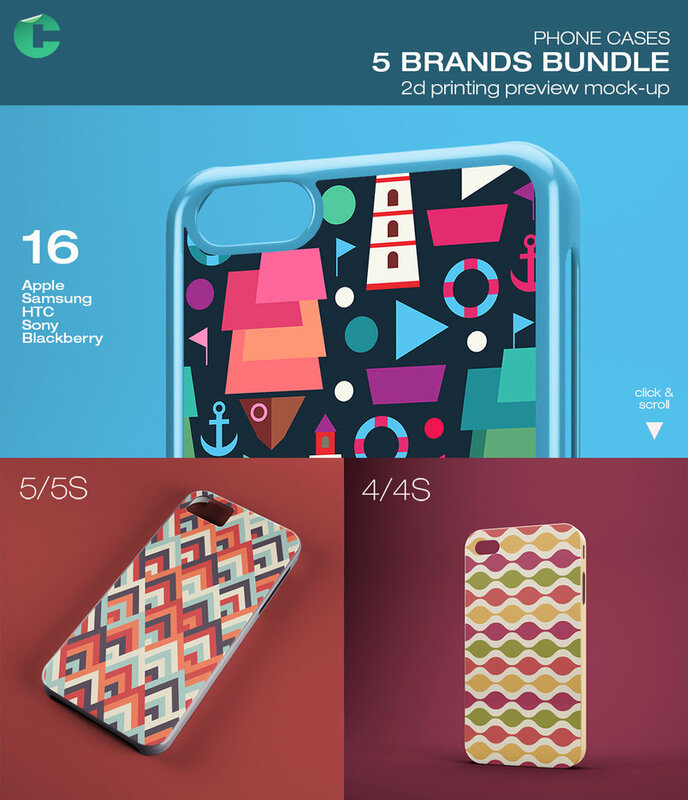 Styled stock photography bundle. Art supplies on wooden background. 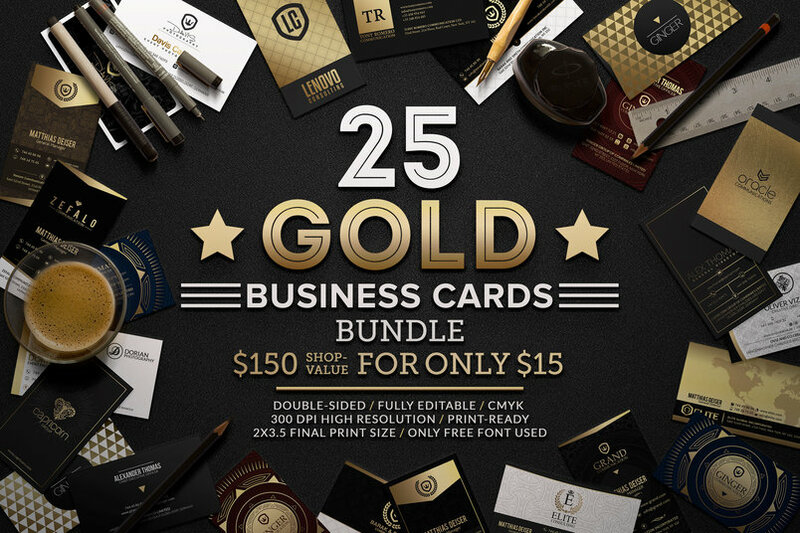 A complete bundle for everyone which comes with 825+ Logos Bundle, 367 lightroom presets, 95 photoshop actions, 300 Backgrounds & 128 lens flares and bokeh overlays. Could you imagine you will become a super flares machine? 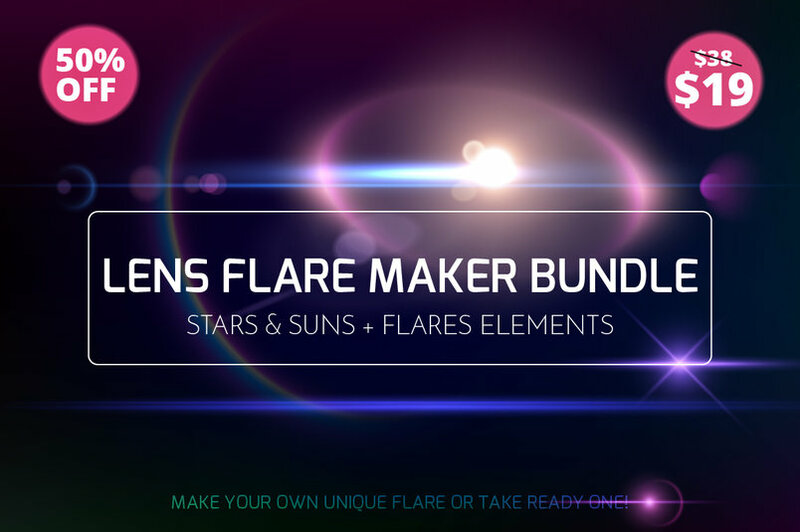 Stars, flares, gleams, explosions, hot summer suns, even this trendy glints from spaceship spotlights – all these cool things just in your power! Just take star or sun that you need, add some flares – circles, rings, hexagons, – some halo, some more flares and voilà! No raster, no effects, just pure vector. 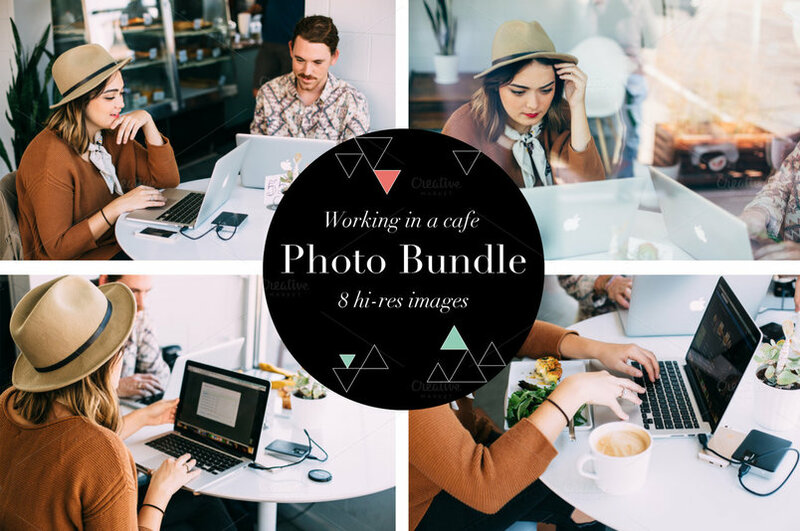 This bundle includes 8 hi-res images of a young adult on her laptop in a cafe.